Abu Dhabi: A mayor wanted to transform Oklahoma City — once ranked among America’s most obese places to live — into a place where obesity could no longer thrive. He made a big bet: that obesity can be fought by rebuilding the city around the pedestrian. So on New Year’s Eve of 2007, he announced to the press: “This city is going on a diet.” He challenged the citizens — and himself — to lose a collective one million pounds, setting up a website where more than 47,000 citizens registered for the OKC Million programme and tracked their weight, the visionary US mayor said on Wednesday evening in Abu Dhabi. 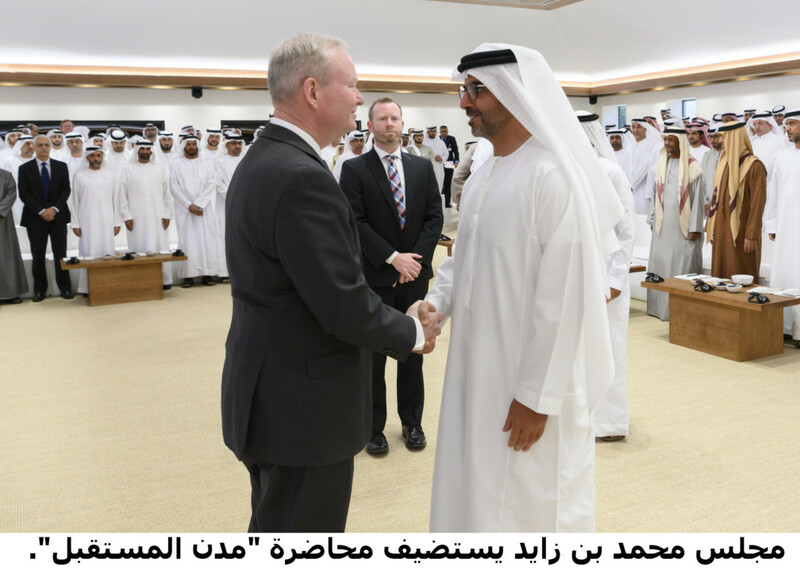 Mayor Mick Cornett told a packed house at the majlis of His Highness Shaikh Mohammad Bin Zayed Al Nahyan, Crown Prince of Abu Dhabi and Deputy Supreme Commander of the UAE Armed Forces, that he knew that if he wanted to get people to get fit, he had to rebuild this commuter-friendly town for pedestrians. This meant adding new, wider sidewalks, biking routes and a larger park. By 2012, the city hits its million-pound goal. It was removed from the list of America’s fattest cities and even landed a cushy spot on America’s top 10 fittest cities. Former four-term mayor of Oklahoma City, President Emeritus of the US Conference of Mayors, and author of the new book: “The Next American City”, Cornett describes a set of principles that can help guide urban leaders of fast-growth cities around the world. Cornet said by as soon as 2050, 70 per cent of the global population will live in cities. How we build our cities today — with purpose, vision, prosperity and sustainability in mind — will shape the way we live for generations. “For most of the 20th Century, Oklahoma City, located in the geographic centre of the country, was like many other American cities. Development after development of suburban sprawl. Neighbourhoods, communities, and even entire cities were built around the car,” he said. Three decades later Oklahoma City is a changed place. A robust, diversified economy. A more walkable community with a high quality of life. And, most importantly, a growing population of talented, educated, young people who are entrepreneurial by nature. The heart of Oklahoma City’s vision and the story Mayor Cornett champions around the world today includes four key ideas. 1. Economic strength and diversity: How can a city, once nearly totally dependent on a single industry, diversify its economy, attract investment, and create opportunities for citizens of all walks of life? 2. Civic pride and social cohesion: What does it take for a city to grow and support social ties and civic pride that residents will be proud to call home? 3. Creating a culture of health and wellness: How can leaders build a stronger culture focused on sustainability, health and wellness? 4. Building a strong, healthy, sustainable city: With these pieces in place, how can a city be built as a platform for prosperity, wellness and sustainability. “Changes do not take hold overnight. 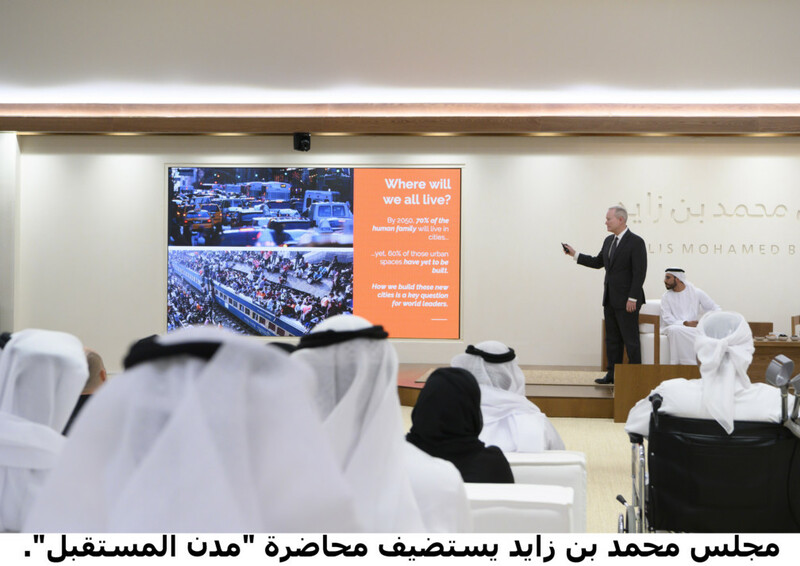 But when well-intentioned leaders in America, Europe, or Abu Dhabi decide to work together, what is remarkable is just how fast, and how successfully, positive transformations can take hold,” Cornett said.